In the spring big female bass begin to feed up and prepare for the spawning ritual. They need to eat big easy meals that are high in protein to help nourish there eggs. A monkey Bug is a great choice for this time of year since it resembles a crawfish and offers a good sized meal that is easy to eat. 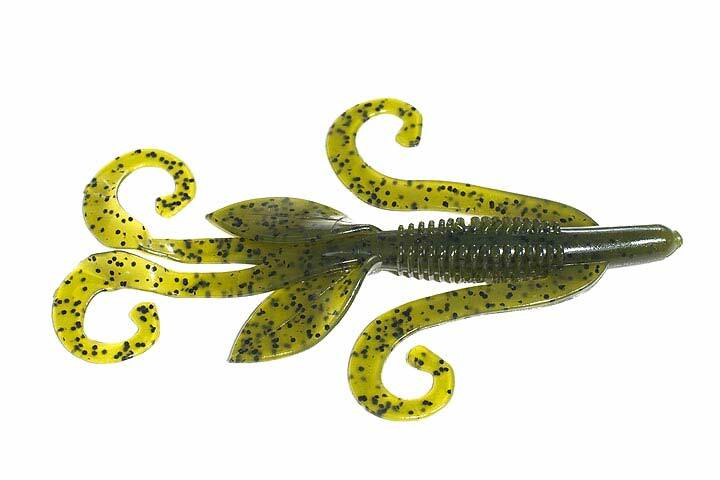 Creature Baits are a must in any fisherman’s arsenal. We created the Zipper worms Monkey Bug with 6 moving appendages,working simultaneously creating underwater chaotic movements. It is being fished by Vince Fulks, Elite Series pro, Great for flipping and for using as a jig trailer. Use promo code 1-rb for a special angler discount!